Wondershare Fantashow for Windows is a fantastic digital slideshow builder / movie maker which is specialized in creating home movies with photos, videos, music, effects and more to share online, TV and Mobile devices. Wondershare Fantashow is very easy to use. With just a few clicks and your imagination, you can artfully arrange your photos and video to tell a moving story in mere minutes! The real magic of Wondershare Fantashow is its colorful array of vibrant, animated and 3D templates that let you seamlessly showcase your precious memories. You can wow your family and friends in the way that the typical, static slideshow builder just can’t. An already outstanding video creation tools, Wondershare Fantashow now makes making great video even easier: Now with more fantastic templates, a super-intuitive interface, drag-n-drop functionality, eye-catching effects, and optimized preset video formats so your shows all play beautifully on the New iPad, iPhone 4S, HTC Evo, Samsung Galaxy and other popular tablets and cellphones. What’s more, you can instantly share your movies to online site, DVD no sweat. Wondershare Fantashow is normally priced at $49.95 per serial number / license key. Now, in cooperation with Wondershare software (developer of Wondershare Fantashow and sponsor of this giveaway), we can offer 10 free serial license key to activate the Full Version of Wondershare Fantashow. To participate in the Giveaway, simply leave a comment below to register for the contest. A valid email address must be entered on the “Mail” field. And do NOT post email address inside comments to avoid spam. The Giveaway will end on July 18, 2012, 12:00 PM GMT. 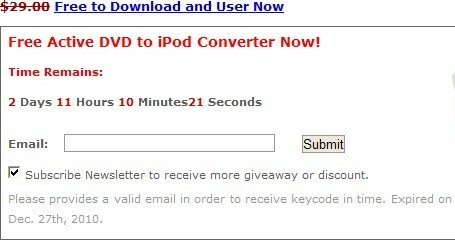 Winners will be selected randomly according to random.org, and will be announced before July 19, 2012, 12:00 PM GMT. If you wish to share this post, to help spread the word among your friends, you may use the sharing widget placed at the end of this post. I would be very appreciate if you were to share this giveaway offer on any social networking site of you choice. At last, Thanks Catherine from Wondershare software for taking interest in to this blog and arranging the Giveaway for my readers. give me the serial number! With no effort, we can have a beautiful results! I’m ready to win!! !Good luck to everyone! Thanks for this great opportunity! It’s people like you that keep me on google and wanting to give people other things:) Thanks again. I am sure dat …m the guy u hav been waitin for !!! Can you say fanta fanta…..show. 1st time here – and never win anything , it would be nice and kind If I selected to win this program . This is usefull program. I hope win it. WOW,, i wish to win one. Thank you very very much for this Giveaway.Please count me in. This is a good giveaway. I hope will be rewarded too. want to join and test it. Count me in. Looks to be a good product. Entering to win.